Hi, my name is Sherry Lydon and I am the proud owner of my new little business making a product that I firmly believe in! My background is actually in the medical field as a Medical Assistant for a major Cancer Clinic in the Mid-South. Over the years of watching my patients come and go I am convinced most illnesses and diseases we face today are actually preventable. I am a firm believer in the saying, “we are what we eat.” and to add to that, I feel it especially applies to what we put on our super, absorbing skin. Because of this, I have always steered clear of harsh chemicals in any type of product I buy. Whether it is household cleaning items, laundry products, etc., I am very aware and I carefully study every ingredient of every product that comes into my home! So when it came down to selecting the ingredients to be used in my laboratory for my very own cosmetic product, my high level of standards did not diminish! If it’s not mined straight from the earth, or picked and processed straight from a life-generating plant or tree, it will not be used by Sherry Lydon Cosmetics! We began the business using the stove top in our kitchen. Now, four years later we have a fully equipped laboratory and production facility with all the latest equipment and can mix and fill as many as 800 tubes of makeup per day. 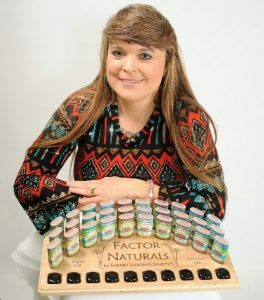 With Sherry’s clinical background and her husband’s 28 years of engineering experience we were able to put our heads together and formulate an all-natural version of the makeup that Sherry had been wearing since she was a teenager. Everywhere you look you can read blogs by distraught women (just like I was) desperately wanting their pan-stik back! Well for those of you who don’t know the story behind the pan-stik, here it is. The pan-stik style of makeup was created by the son of a Russian chemist named Max Factor. Max Factor is considered the “father” of all modern makeup and the company he built literally changed the face of cosmetic history, pun intended! After he died in 1938 his son, Max Factor, Jr. took over the business and continued his father’s success. A decade later the pan-stik was introduced in 1948 and was initially used only by those in Hollywood but soon was marketed for sale to the general public with instant success! Through the years since then the family initially sold the company and all of the original formulas in 1973 for $500 million. In 1991 it was bought by Proctor & Gamble who still own it today. TheSherry Lydon Cosmetics Companywas created as a direct result of two decisions recently made by Proctor & Gamble. Their first decision for the Max Factor brand was to literally “pack their bags” and completely pull all of the brand’s products out of the U.S. market. Along with that decision came their most devastating blow which was to discontinue the original pan-stik formula that helped to make Max Factor so famous! This news was devastating to not only me, but also to tens of thousands of other women who still highly covet the last remaining tubes of this original formula, with some currently paying more than $100 a piece on Amazon and eBay! Because of this strong demand, and knowing that nothing else can even come close to the quality of Max Factor’s original pan-stik formula, I felt the strong desire to just not let that wonderful product merely become “a thing of the past.” With this determination and with staying focused on only using all-natural ingredients, I finally found the right formula that perfectly matches the qualities of the original Max Factor pan-stik in every way. My formula not only matches how well it covers, but I am told by many of my customers that the coverage is indeed better! It also has the exact same dewy texture, and the finish gives you that exact same gorgeous, satin look. My Argan Oil and Coconut Oil are direct substitutes for a few of their controversial ingredients of which I chose to completely avoid. These better ingredients provide that same age-defying effect on the skin, while at the same time, keep if soft, supple, and moisturized! And for those of you who are like me, my formula fights against breakouts just the same! Last, but not least, I even offer my version in most all of Max Factor’s original pan-stik shades! How awesome is that? 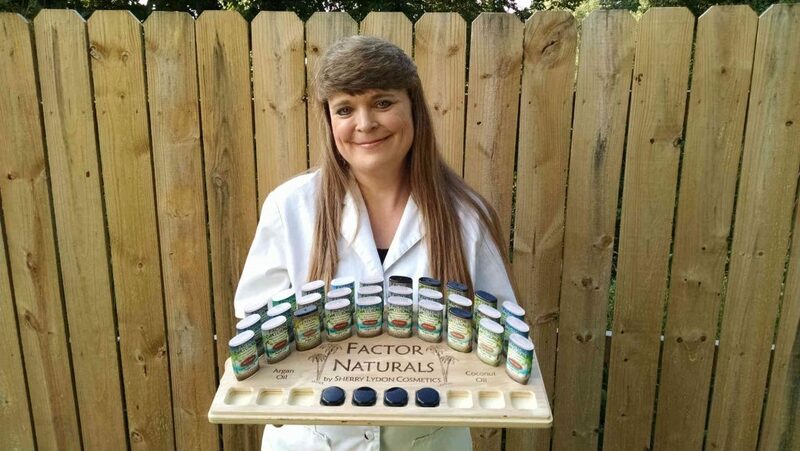 So, in conclusion, I have been told by many that have grown weary in their frantic search for an exact replacement that my new product, Factor Naturals is indeed their new pan-stik!